octopus that makes it shriek so? Take a closer look. That is not an octopus at all, but the majestic Great Highland Bagpipe! 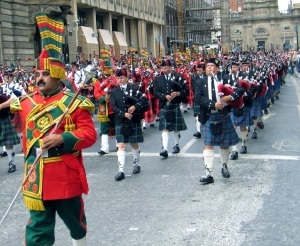 famous by pipe and drum bands all over the world. 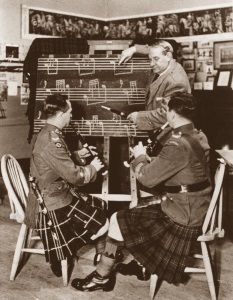 How long does it take to learn to play the pipes? it takes around six months of full-time training to get the basics down. 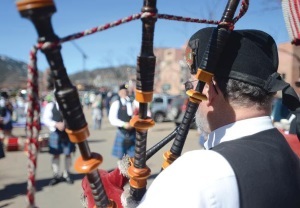 How much does a set of bagpipes cost? 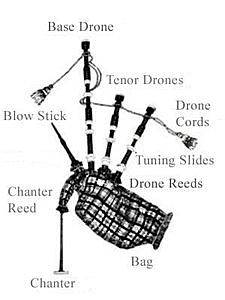 How do the bagpipes work? which inflates the bag. There is a valve to prevent the air from escaping the way it got in. holes in the chanter to play the melody. What tartan do you wear? 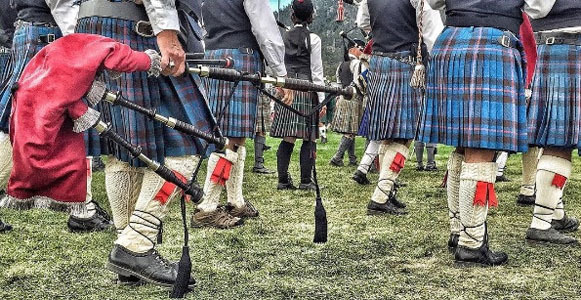 Our distinctive blue kilts, with brown and red tartan pattern represent the Elliot clan. What’s with those caps on your heads? them. 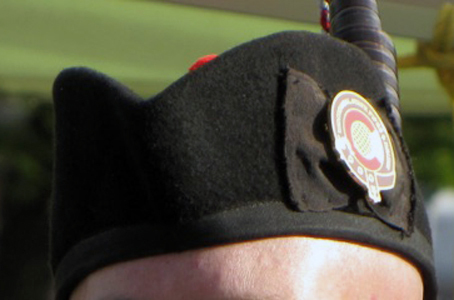 These have been standard headgear for Scottish army regiments since the 1850s. jacket instead of down your neck. Fun fact: that red pompom on the top is called a “toorie”. display their own badges here. 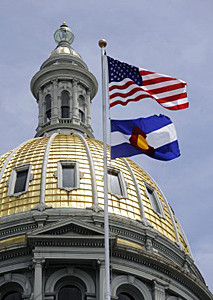 Colorado, after joining the Union in 1876, took the nickname “The Centennial State”, and we followed suit. Do you have to be Scottish to play the pipes? Not at all! 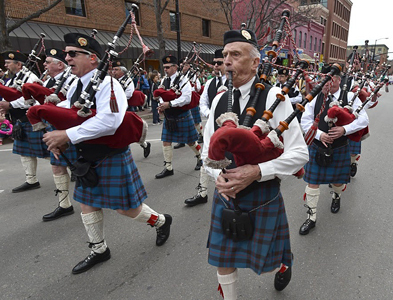 The bagpipes actually have a rich history throughout Europe and the Middle East. different backgrounds. All you need is a love for that ancient sound. What’s that thing sticking out of your sock? It’s a knife. 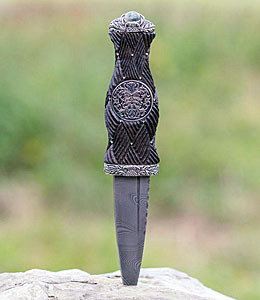 Actually known as a sgian dubh (pronounced “SKEE-un doo”), or “black knife”. being applied to a chanter. Is that a little purse slung around your waist? 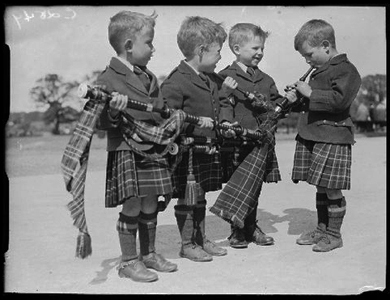 How old are the bagpipes? Roman Empire. The Roman historian Suetonius described the Emperor Nero as a bagpiper. 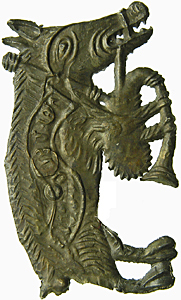 The chanter portion of the instrument dates back some 5,000 years. 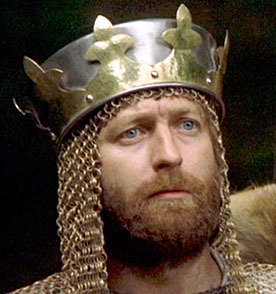 What’s the airspeed velocity of an unladen swallow? What do you mean? African or European? Why, shoes and socks, of course! Where can I find out more about piping?